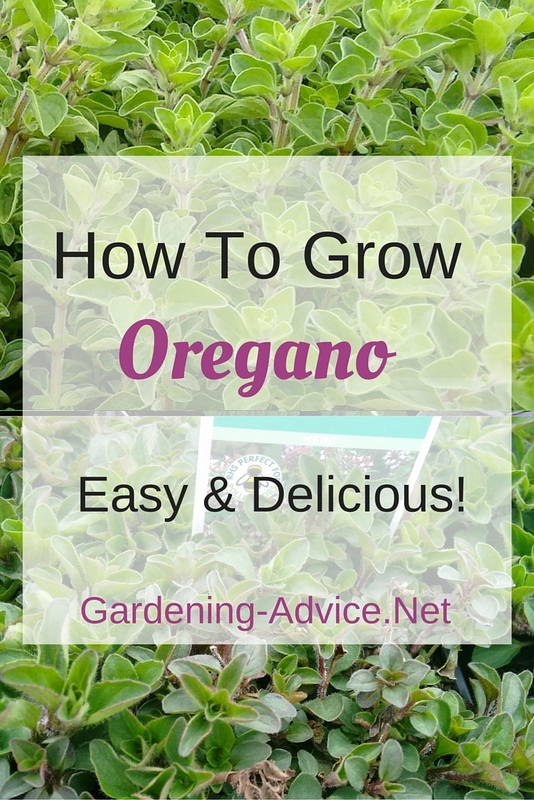 Tips for Growing Oregano and Marjoram for culinary delights! Include an Oregano plant in your herb garden and enjoy the aromatic foliage and pretty pink flowers. I decided to group Marjoram and Oregano together because they are so similar and closely related. Often there are varieties that are crosses between the two so that makes it hard to keep the two apart. They both belong to the same species (Origanum). There are many cultivated varieties. 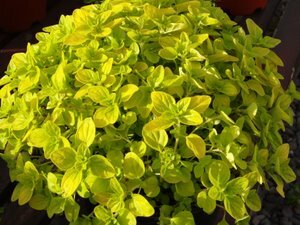 Very decorative and also useful in the kitchen are for example the Golden Marjoram (Origanum vulgare 'Aureum Crispum') or the Gold Tipped Oregano (O. vulgare 'Gold Variegated'). Both are used a lot for Mediterranean cooking, Pizzas, Soups, meat and cheese. Add the chopped leaves to your dishes while cooking. Origanum vulgare is the common Oregano with a spicy and intense flavour. It is perennial and overwinters well if covered with a layer of leaves. If you live in a very cold area you can bring it in and over winter it in a cool dark room. Oregano dies off for the winter so cut it back to ground level in late autumn. Oregano has lovely pink flowers during the summer and attracts lots of bees and butterflies with them. 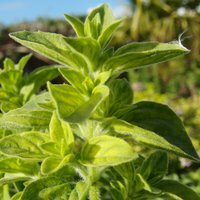 Origanum majorana or Marjoram has a milder and sweeter flavour than Oregano. Marjoram is not cold tolerant or frost hardy and often treated as an annual. If you grow it in a container try over-wintering it indoors in a cool but bright place. Both varieties like a dry, slightly alkaline soil with good drainage. Plant them in full sun for the best flavour. 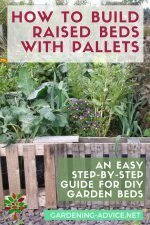 Ideal for growing Oregano are slopes, rockeries or on top of walls. They both grow very well in containers. 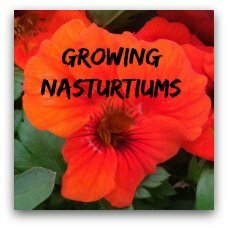 Try them in pots, window boxes or hanging baskets. 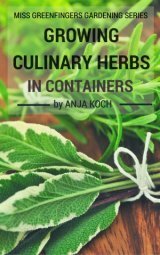 You can combine them with other Mediterranean herbs like Sage, Thyme or Rosemary. If you grow them inside choose a south facing window sill for best results. The same applies outside: they love the sun! Let the plants dry off in between the watering. They don't like wet soil and start rooting if you are not careful. 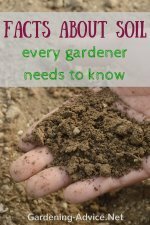 Add some organic plant food to the water once or twice a month during spring and summer. 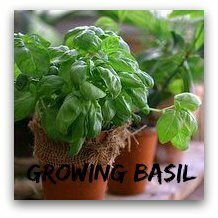 Marjoram and Oregano can be grown from seed successfully but you would only do this if you need a lot of plants. It is easier to buy a couple of plants in the beginning. 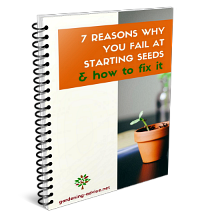 If you have some mature plants you can propagate them by splitting them in early spring. 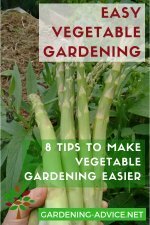 Harvest the leaves and tips from late spring until the autumn. Cutting back parts of the plants during the summer will ensure that young shoots with nice foliage are being produced. You can also use the flowers for cooking. 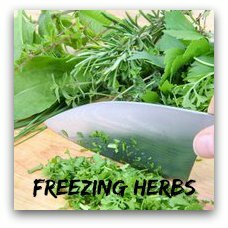 Marjoram and Oregano can be preserved by freezing or drying. You can also use them to flavour oil together with Rosemary, Sage and Thyme. 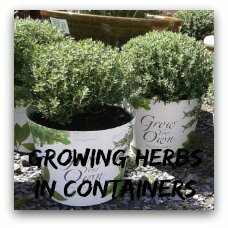 Air tight containers are best for storing the dried herbs.